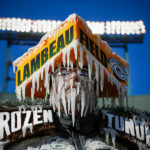 With Green Bay Packers quarterback Aaron Rodgers on injured reserve due to a broken collarbone and a forecast for rain, it was a tough to get to excited for Sunday’s game at Lambeau Field against the New Orleans Saints. In truth, I was somewhat excited, but yet very apprehensive to see how Packers backup quarterback Brett Hundley would do. 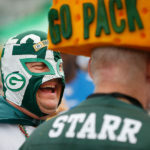 The game started well for the Packers with a couple key defensive turnovers and some good offensive production – thanks to running back Aaron Jones – but then things went south. In the end, the Packers lost the game 26-17 in backup quarterback Brett Hundley’s first NFL start. My performance was similar; I caught some good moments, but also missed on a couple of key plays. Hopefully the Packers and I do better moving forward. If not, I’ll have plenty of free weekends in January to take up ice fishing. Here are a few of my favorite shots from the game. 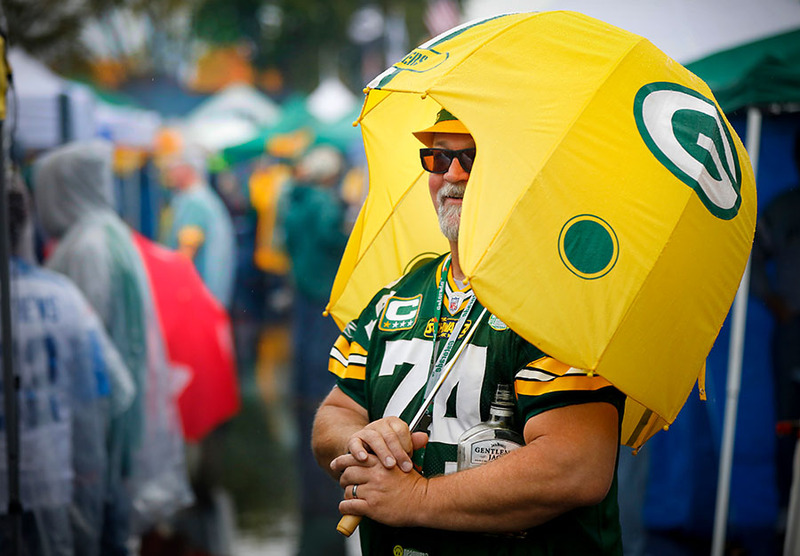 A Packers fan trying to keep dry while tailgating. 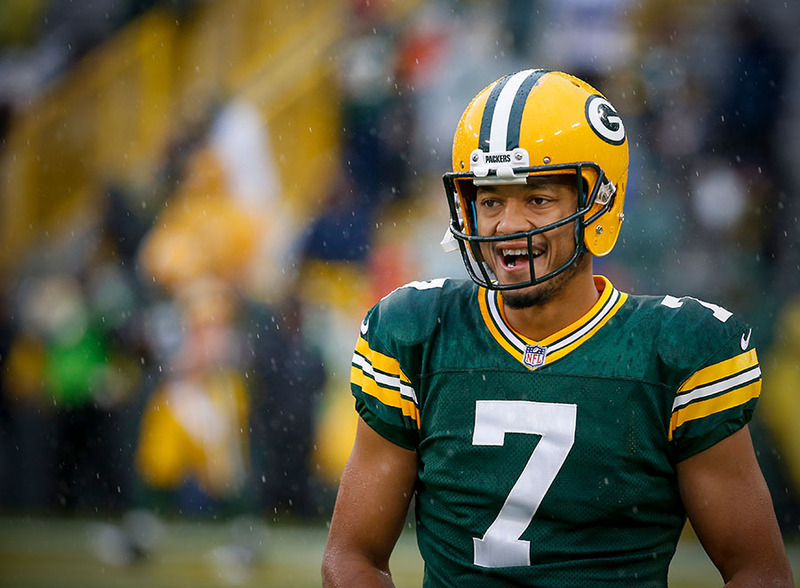 Green Bay Packers quarterback Brett Hundley is all smiles before the game. An excited Green Bay Packers quarterback Brett Hundley during player introductions. 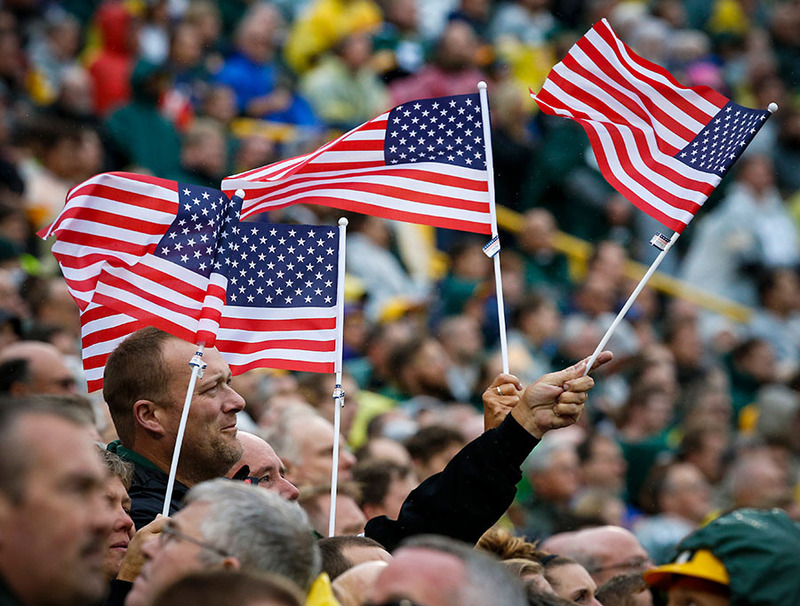 Patriotic fans wave American flags during the national anthem. 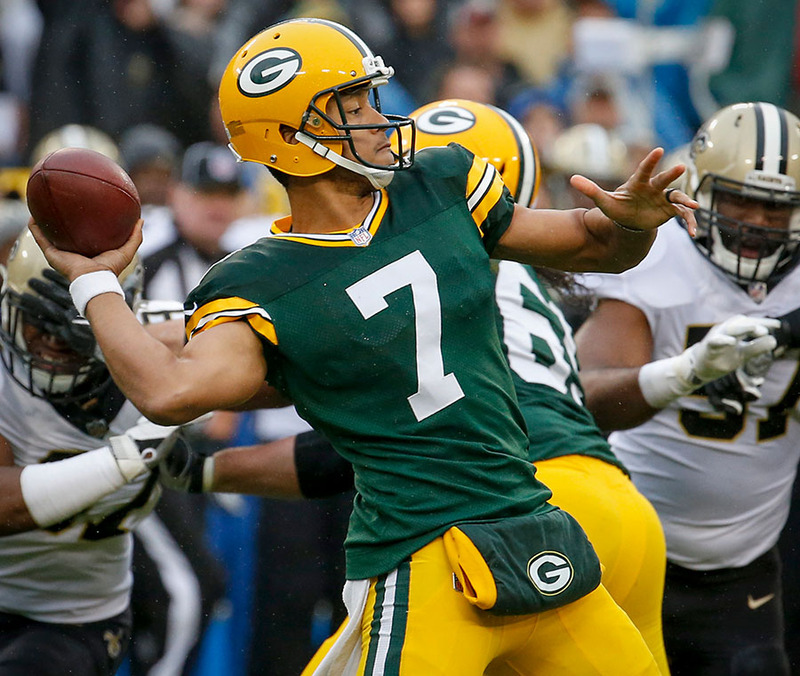 Green Bay Packers quarterback Brett Hundley throws. Green Bay Packers cornerback Damarious Randall intercepts a pass intended for New Orleans Saints wide receiver Brandon Coleman. Green Bay Packers head coach Mike McCarthy congratulates cornerback Damarious Randall for his interception. Green Bay Packers cornerback Davon House intercepts a pass intended for New Orleans Saints wide receiver Michael Thomas. Green Bay Packers running back Aaron Jones runs during the first half. 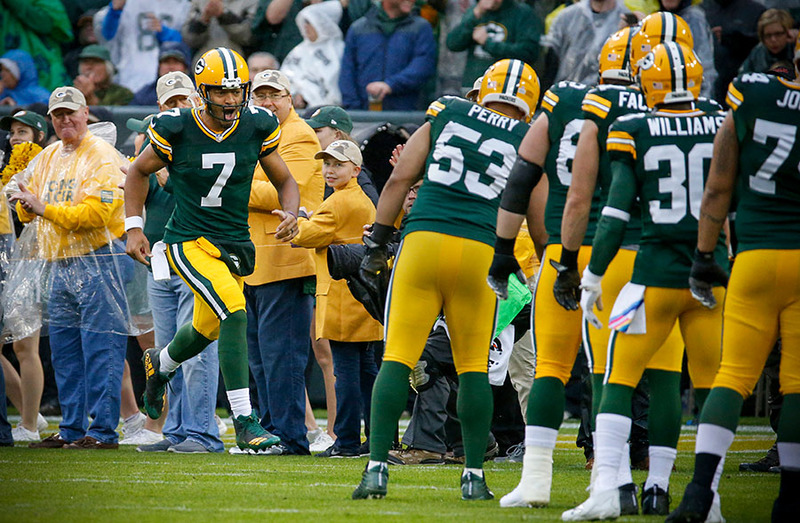 Green Bay Packers quarterback Brett Hundley runs to the end zone for a touchdown. 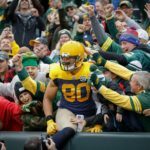 Green Bay Packers quarterback Brett Hundley does a Lambeau Leap after scoring a touchdown. Green Bay Packers quarterback Brett Hundley runs for a first down. Green Bay Packers outside linebacker Nick Perry celebrates after sacking New Orleans Saints quarterback Drew Brees. Green Bay Packers quarterback Brett Hundley throws a pass to wide receiver Geronimo Allison. New Orleans Saints wide receiver Brandon Coleman spikes the ball in the end zone as he celebrates his touchdown reception as Green Bay Packers free safety Ha Ha Clinton-Dix walks back to the sideline. New Orleans Saints outside linebacker A.J. Klein breaks up a pass intended for Green Bay Packers wide receiver Randall Cobb. Packers fan Jeff Kahlow shows his trust in Green Bay Packers quarterback Brett Hundley. Green Bay Packers cornerback Davon House breaks up a pass intended for New Orleans Saints wide receiver Corey Fuller.